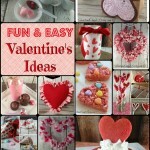 Valentine Muddy Buddy Mix - Super quick and easy! We are just days away from Valentine’s day…are you ready? Do you have special plans this year? Knowing how things go in my household, we’ll be doing some project around the house or crafting! My husband knows what really makes me happy, spray paint, making over some part of the house and maybe some chocolate and I’m good! 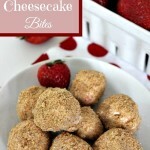 Since I like to bake and make special treats for my husband and kids, that’s usually what I stick to. 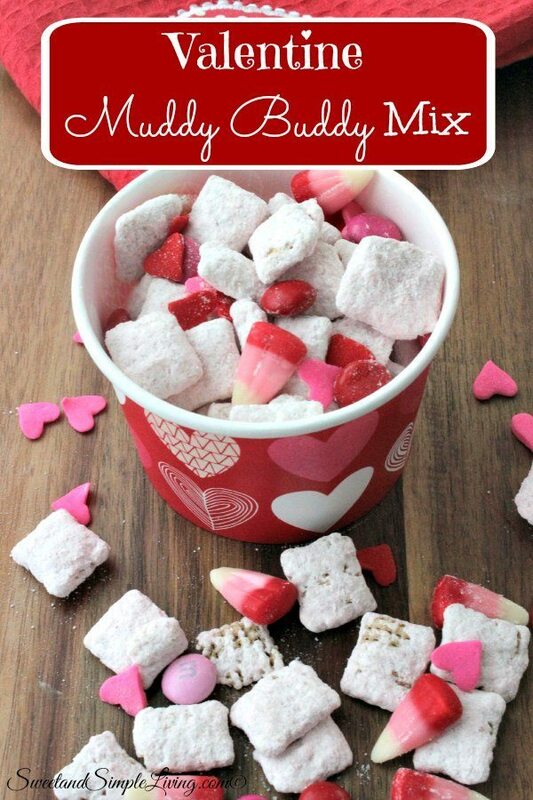 This Valentine Muddy Buddy Mix is super easy to make and the kids always love it. It has a great strawberry flavor to it too and is just plain cute! In a large zippered bag, combine the cake mix and powdered sugar and shake to mix well. Melt the white melting chips in the microwave by heating for 30 seconds then stirring and repeating until melted and smooth. Add the cereal mixture to the plastic bag and shake until all of the cereal is completely covered. Add any additional candy decorations if desired. 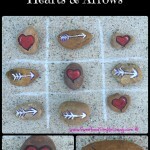 I told you this Valentine Muddy Muddy Mix was super easy to make! We added some candy hearts and Valentine candy corn to ours, but you can add any candy you like. 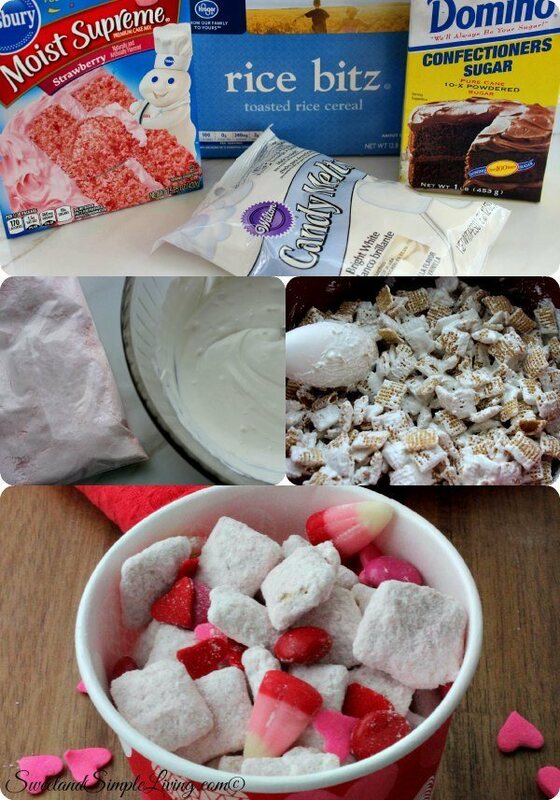 You can also change this up for any holiday and use any flavor of cake mix that you like. I have some strawberry lemonade cake mix that I may use for Easter! 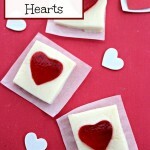 We’ve already posted several Valentine recipes and crafts, so head over HERE and check those out too. This would also be great to bag up for individual treats. Here are some really cute little treat bowls that would be great for Valentine’s Day.